Co-founder & CEO at Wisemetrics - Stephane is a serial entrepreneur who has been launching internet-related companies since 2001, after a fruitful experience at IBM as web marketing manager. His latest venture was a pioneering social media agency, sold in 2006, which advised Fortune 100 companies. Facebook doesn’t store this data (or at least they don’t provide access to it), so there is no way to know for sure when a Facebook page was created. Why would you want to know when a Page was created ? When you benchmark your page with your competitor’s one, raw numbers aren’t enough. Let’s say you have 100,000 fans and your competitor has 500,000. Are you hopeless and your competitor pure genius? Not so fast. You need some context. You have launched your page 6 months ago and it seems your competitor has been around for a very long time. That would explain why it has 5 more times fans than you do. How can you find out the day a Page was created ? The first way (the hard one) is to scroll back through all the updates on the wall to find the very first update. Well, good luck to you if the page is 6 years old and has a publishing rhythm worthy of The New York Times. The second way will get you to another estimate in just a few seconds. Let’s see how it works. Let’s suppose you want to find out when the Coca-Cola company created its Facebook page. 1. 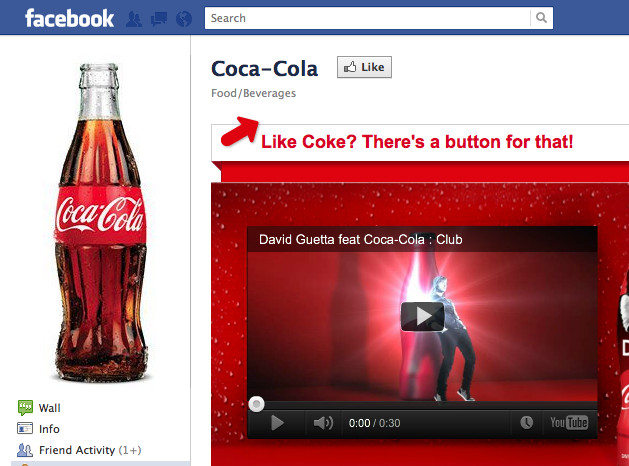 Go to Coca-Cola’s page. 2. Click on the profile picture (the bottle). 3. Click on the last picture of the profile. 4. Ta-Dam! Look at when the picture was uploaded. There is a great probability it was the same day that the page was created, that is to say on December 15, 2008. 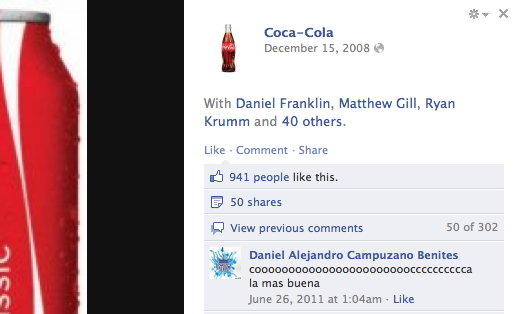 True, Coca-Cola’s admins may have deleted their very first Facebook profile picture so the page may have been created earlier than December 15. But I’m pretty sure this is the accurate day of creation. Why ? Let’s look at the very first comment on this picture. The day ? January 18, 2009. One month after the picture was uploaded. 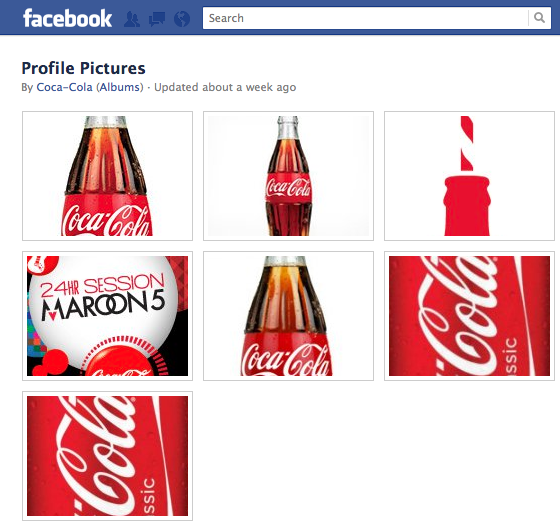 If this profile picture was the second or third profile picture ever posted by Coca-Cola, then the brand would already have fans, and thus the first comments would have been posted the same day the picture was published, not one month later! So we can guess with pretty good confidence that Coca-Cola created the page on December 15, 2008 but opened it publicly only around one month later. The results with this method seems to be even more accurate than with the first one (scrolling down to the very first update). It took me about 7 minutes to find out the following post, published one full month after the first comment on the profile picture. Did you find this tip useful ? Please comment and share. Thanks to Alice/GroupM for some background information. We wanna read from you ! Subscribe to the Newsletter and feel the Rocket Power! Any way to find out who created the page? The first one (bottom of the fan list) may be the admin of the page. Not really convinced. The brand (Not Coca Cola for instance) can delete all its profile pictures and just keep the most up-to-date ones which makes your tip pretty inaccurate. It can only work out if we assume the brand has never deleted its previous profile pictures. Check out Easy Jet http://www.facebook.com/easyJet?sk=wall their first profile pic is from Oct 11. But the page was already alive way before october 11 ! Yes, as we’ve said in the post this is not a bulletproof solution. Wiselytics is the effortless Social Analytics reporting tool that helps you showcase the value of your community management work and provides you with key insights to define your long term strategy.